Divorce and child custody issues are already difficult enough without also having to address the issue of relocation after divorce. Depending upon the specific circumstances surrounding the relocation, it could very well affect the amount of time a parent spends with their child. For these reasons, it is important to understand what Florida law dictates when it comes to parental relocation after timesharing and parenting plans have already been finalized. When one parent plans to relocate, parents often find themselves in court in order to find some resolution, as, especially when that relocation involves long distance, it can be very difficult to come to some consensus on what is best for both the child and the parents. This warrants working with an experienced family law attorney if you are dealing with this issue, as states have different laws in place when it comes to the issue. Florida law defines relocation as a change in the location of the principal residence of a parent or other person from their principal place of residence at the time of the last order establishing or modifying time-sharing, or at the time any action to establish or modify time-sharing was filed. In order for it to technically be considered relocating, the change of location must be at least 50 miles from the principal residence of a parent (for at least 60 days; in other words, this does not include a simple vacation). If a parent needs or wants to relocate, they can do so by agreement with the other parent, or by filing a petition with the court. Of course, the other party also has the right to object to the relocation by filing an answer that includes the specific factual basis supporting why the relocation should be prohibited. The court then has the ability to grant a temporary order restraining the relocation or return of the shared child, depending upon the circumstances, if the relocation has not been agreed upon and/or does not have the consent of the court. In most states—including Florida—it is the best interest of the child which will guide the court’s decision regarding how shared parenting time should be impacted by a relocation. Thus, in making one’s case to the court, each parent must demonstrate how either preventing relocation or allowing it will improve the child’s overall quality of life. Parenting decisions–including how often parents can see their children–will have a lasting influence on both the child and their relationship with the parent. If you are dealing with divorce, child custody, and/or relocation issues, working with a caring, professional family attorney is essential. 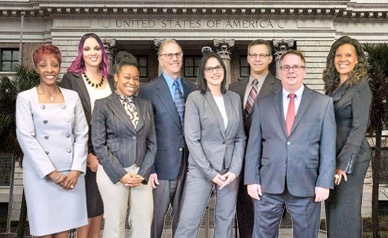 At HD Law Partners, our family law lawyers Tampa have over 40 years’ combined experience in helping clients navigate Florida’s complex family court system. We put our knowledge, experience, and abilities to use in helping you achieve the desired results in your case. Contact us today for a free consultation.